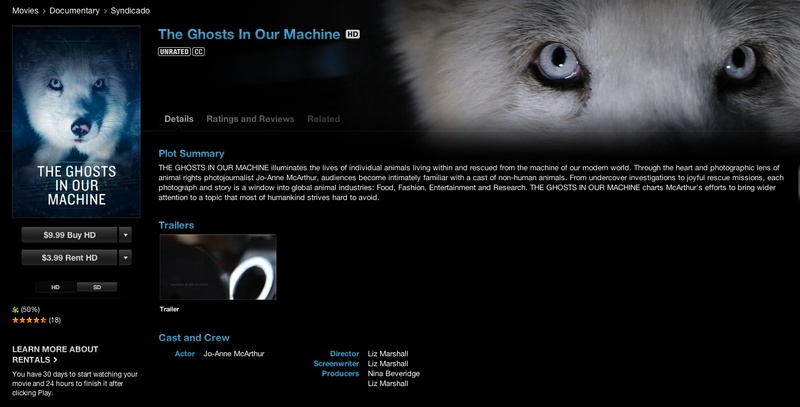 Ghosts Media is pleased to announce the release of The Ghosts In Our Machine in French, German, Portuguese and Spanish. Since April of 2013, the film has been widely available in English. Thanks to the generous support of the experienced translators who offered their services in support of the film. Find your country on our WATCH NOW page, and click on the viewing option you prefer.